In calling this book Beyond the Culture Tours, the authors bring the reader's attention to a set of issues in the teaching of literature and culture. The Culture Tour is an old concept in the West, dating back to the seventeenth century. The educated young man -- it was an exclusively male project at first -- was expected to round off his education with the Grand Tour. This meant a visit to the major sites on the European continent, particularly Greece and Rome, and occasionally to the Holy Land. The object was to have a first-hand view of these monuments, and looking at them alone brought people the name of being cultured or well-traveled. As the idea spread in the early part of the twentieth century, it allowed for the vicarious tour rather than the actual one. Students were asked to look at collections of art or reproductions of art work, listen to concerts or later recordings, and to read certain classical works drawn from what has come to be known as "the canon." The point of this form of education was that exposure to these works in itself formed a version of the Grand Tour. The basic idea behind the tour approach is that exposure to a culture in books is like travel to an ethnic theme park. "Teachers of multicultural literature, especially in the high school setting who wish to develop a more effective instructional practice, should find value in this book. 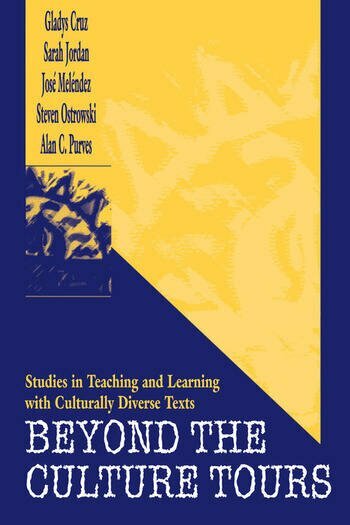 The authors sensitively interpret comprehensive classroom research and theoretical foundations for instruction, and they communicate sensible considerations for classroom practice without taking a dictatorial stance on the teaching of multicultural literature."